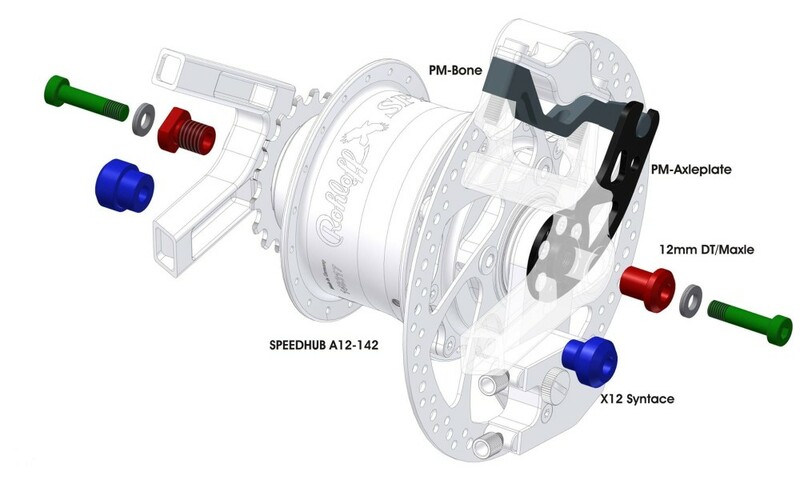 In a few days, Rohloff will be offering their amazing 14 speed internal hub to more bikes. 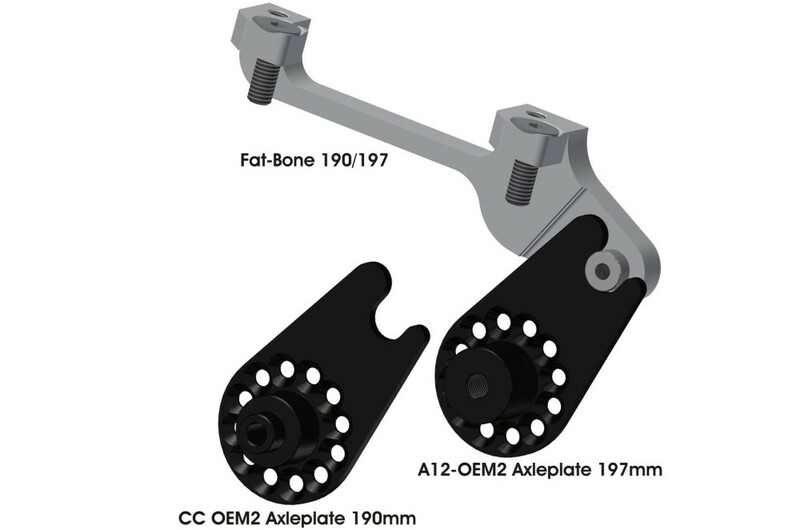 Three big new changes have been revealed: there are 12mm thru axle hubs, new post-mount axleplates and a cheaper, completely new sprocket design which can be retrofitted to ANY Rohloff hub! 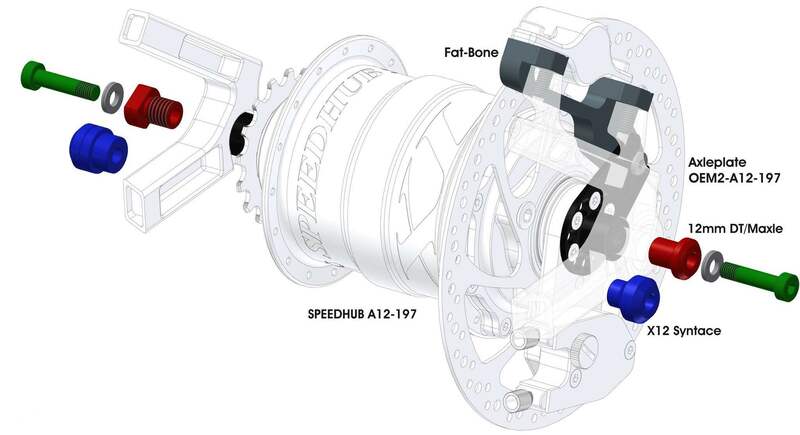 The Speedhub 500/14 A12 is designed for 12mm DT-Maxle, X-12 Syntace and Shimano E Thru frames. 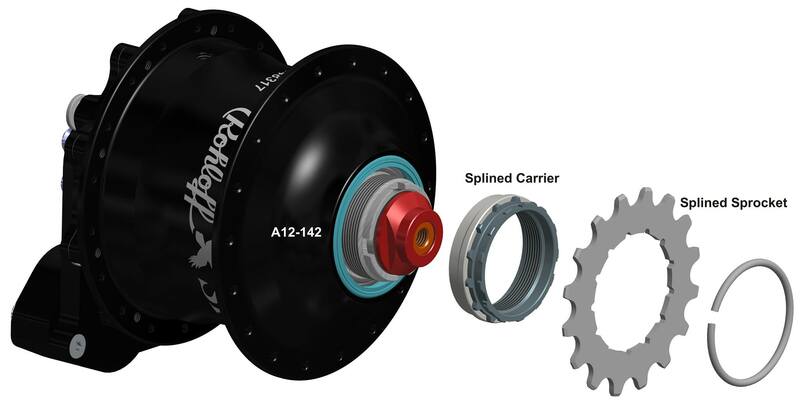 In fact, this is the first internally geared hub to be available in the thru axle design. Unfortunately, current Rohloff users are not able to convert their current hubs to suit thru axles. Rohloff thru axle hubs will be available in three different widths: 142mm, 177mm and 197mm. 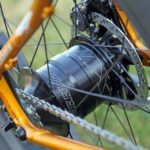 142×12 is becoming a popular standard for cyclocross and mountain bike frames and is somewhat likely to be found soon on touring bikes. 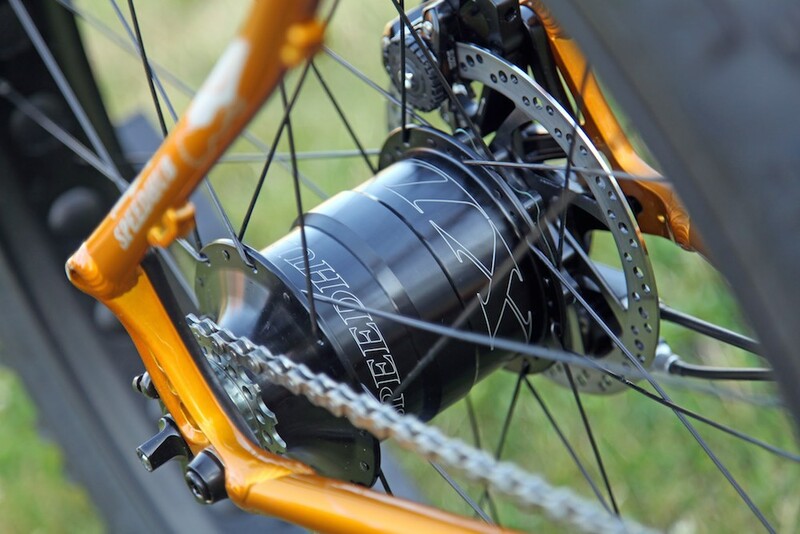 177mm and 197mm hub spacing are reserved for fat bikes which typically use 4-5 inch wide tyres. It’s interesting that there is no 148mm version, a standard becoming popular on both 27+ and 29+ bikes. If your frame doesn’t have a Rohloff dropout, but instead has a post-mount brake, you’re in luck. 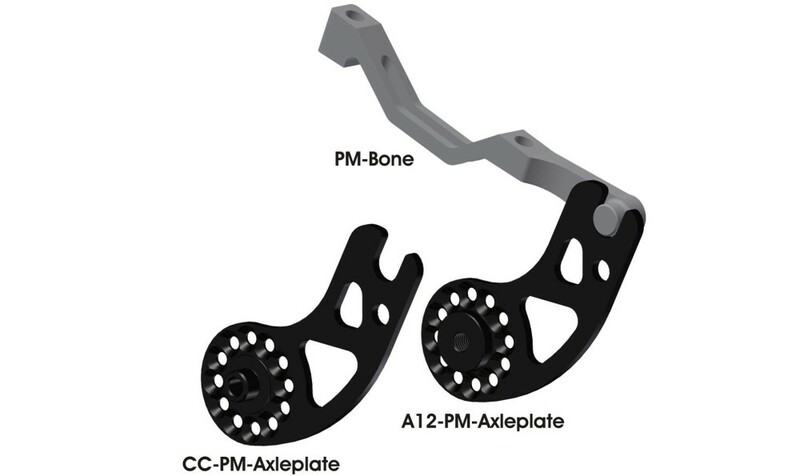 Six new axle plates have been released catering for 135, 142, 170, 177, 190 and 197mm rear axles. That makes Rohloff compatibility much better for any frame not specifically designed around these hubs. The current sprocket style is screw-on; Rohloff owners know how much of a pain these cogs are to get off! For 2016, the latest sprocket design is splined, and all you need is an adapter kit and cog to upgrade. The adapter fits to the existing driver allowing splined sprockets to slide right on, and here’s the best bit: all you need is a flat head screwdriver to replace a rear cog. Prise the circlip off and on and you’re done. No chainwhips or spanners required!